Good training is all about communication. At The Martial Arts Learning Community, we want your learning experience to be the best possible. Consider employing these Best Practices to get the most from your training experience. Write out your training goals before attending the class. Take some time to define your needs in writing. This will help you to quickly identify significant ideas presented during the class. Get input from your teachers, coaches, and associates about your training goals and how this class may help you achieve them. The environment including time of day, location of the class, energy levels etc. The training partners who attend, fitness levels, lessons to be given, etc. The instructor/teacher’s energy levels and the lessons to be given etc. SEMINAR * --- A class or series of classes covering one or more topics. Since it is a class or series of classes, a seminar is also a gathering of training partners under the direction of an instructor/teacher, often a guest or outside expert, who gives one or more lessons during the specific meeting time. A seminar, like any “live” experience can never be made up. So, if you don’t know, come to learn; If you know, come to experience! Build a sense of community --- Network! Make each class an opportunity to meet people and see old friends. Make connections, exchange business cards, and stay in touch. Your contemporaries can be an ongoing source of support for your training and development. Ask your questions. Unfortunately, people do attend classes and fail to ask a critical question. A well answered question can “jumpstart” your learning and personal growth. Always get the instructor’s business card. E-mail is perfect for asking follow up questions. Remember, “There are no silly questions, only silly instructors!” Remember to always ask your questions at the appropriate time. Talk to the instructor. During breaks or before the class begins, approach the teacher and talk about your needs, training goals, and concerns with them. 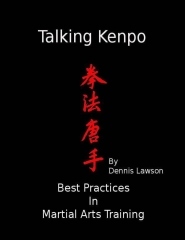 This can help the instructor tailor the training in a way that may help answer your questions.